– Bars where you can sit and chat with friends. Here we will discuss these. – Clubs with live music for dancing. We will discuss these in section Concert Halls. 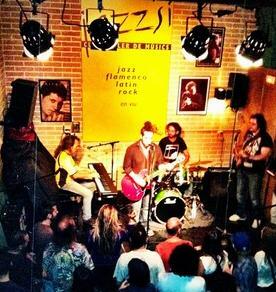 Jazzsí may be described as a manufacture of musicians as this is a place where musics and students of musics go for practising and performing at the same time impressive shows. Excelent recommendation for having some beers. The place is open all days and every day is dedicated to a different music style. Great performances made by unknown musicians. If you play an instrument if you feel like playing, you can write yourself in the setlist and show people what you are made of. Really nice place. Quiet and pleasant bar where customers sit sharing tables, good chance for making new friends by the way. Gigs are performed by soloist (due to the small space for the singer) and Spanish and English songs are equally played. Highly recommended for having a few drinks before going for more action and also for couples. As good Irish pub, musical performances are held at night so that you can enjoy the Irish environment accompained by a Guinness just as if you were in the Green Island. 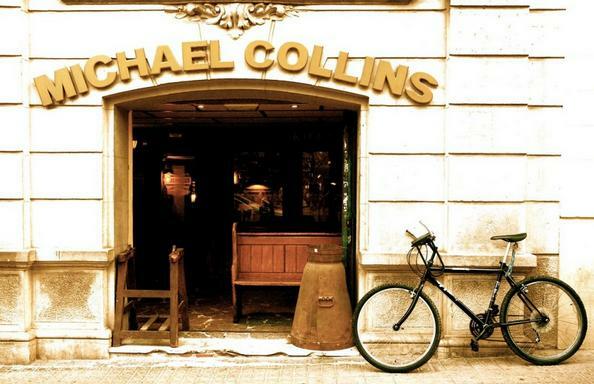 Irish and English are mainly the music performed at Michael Collins. Note that live music is typical for an Irish pub and Barcelona has lots of Irish pubs where to enjoy some of this. If you want to know other Irish pubs where to feel like an Irishman/woman, just check our section Irish Pubs in Barcelona. Classic meeting place for enjoying rock and indie music. This is a 2 floors pub where bar and concerts are placed on the first floor and discotheque is downstairs. Music on live during nights. Nice environment for a drink and enjoying some music live.